M2M connectivity allows for remote monitoring vehicle diagnostics. When new technologies are invented there is a tendency to overestimate the impact they will make in the short term — but then to underestimate their influence once they have become established. Machine connectivity is the latest technology to excite the industry, but what are the main factors that are driving its adoption? Volvo asked leading IoT analyst Michele Mackenzie to help connect the dots. 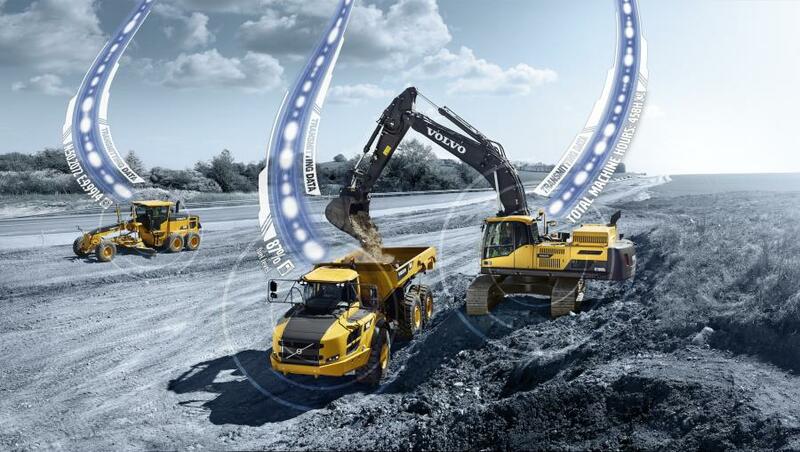 (Volvo Construction Equipment): What are the main drivers of M2M connectivity? 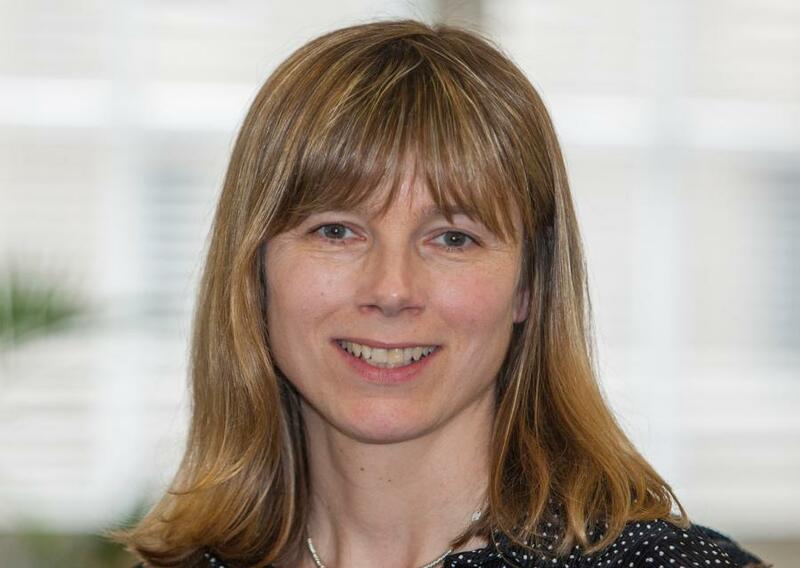 (Michele Mackenzie): In the construction equipment sector it is the ability to remotely monitor vehicle diagnostics, helping to reduce failures and downtime, increase productivity and improve customer satisfaction. It is also enabling fleet management services — location, productivity, vehicle performance and operator behavior. Remote fleet management is now quite well established, with a clearly understood return on investment. Is construction falling behind other M2M sectors? Not necessarily. For some time, companies like Volvo CE have been using sensor networks that monitor various aspects of machine performance. This IoT technology is reducing downtime, as predictive maintenance and remote fault correction becomes commonplace. It is also leading to a positive impact on environmental factors such as pollution, as well as profitability. 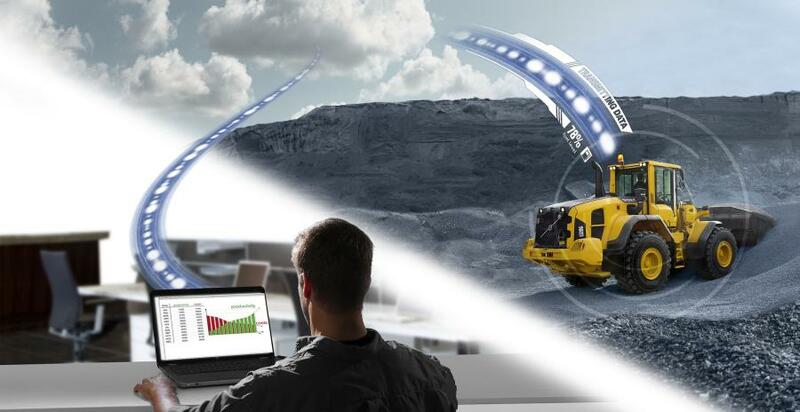 Machine connectivity is allowing construction equipment manufacturers to change their business models. In the past, they sold or rented a piece of equipment, and that was largely that. 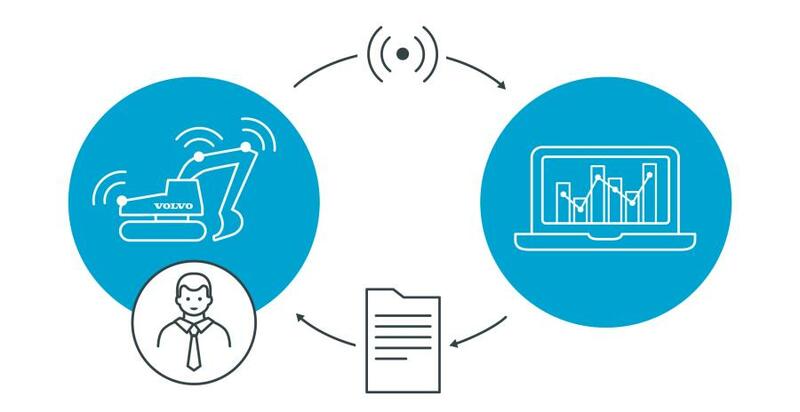 Connectivity allows manufacturers to engage with customers on an ongoing basis, providing them with a service as well as a product. How many connected vehicles are there worldwide? We estimate that there are around 224 million vehicles worldwide (including passenger cars and commercial vehicles) with some form of connectivity. This will range from simple tracking solutions to more sophisticated fleet management applications. How fast is it expected to grow? By 2026 we forecast that there will be 929 million connected vehicles, representing an average annual growth rate during that period of 17 percent. That sounds like a lot of data being transferred — what if the cellular network coverage is weak? Some countries have better coverage than others in terms of cellular networks, with 2G and 4G available. But even in remote areas, with unreliable cellular coverage, machines can be fitted with dual mode cellular/satellite devices to enable connectivity. In the automotive sector V2X will mean vehicles being able to communicate with each other on the road or site, so they know where each other are, as well as communicate with infrastructure by the roadside — with traffic lights, for example. What is the 5G cellular network? Fifth-generation wireless, or 5G, is the latest cellular technology, engineered to greatly increase the speed and responsiveness of wireless networks. By making better use of the radio spectrum it will enable far more devices to access the mobile internet at the same time, as well as deliver much faster data download and upload speeds, wider coverage, and more stable connections. Is 5G just more bandwidth? 5G will see the introduction of several new technologies, but standards haven't been agreed yet for all 5G protocols. Higher-frequency bands — 3.5GHz (gigahertz) to 26GHz and beyond — have a lot of capacity but their shorter wavelengths mean their range is lower and they are more easily blocked by physical objects. 5G could achieve browsing and download speeds about 10 to 20 times faster than 4G networks. Most countries are unlikely to launch 5G services before 2020, while South Korea is aiming to launch next year. China is also racing to launch services in 2019. Do we need 5G for V2X communication? It's not clear if many of the IoT applications that are coming in the short term need the higher bandwidth offered by 5G. Cellular V2X (C-V2X) is being standardized by 3GPP, the standards body of the global cellular industry for both 4G and in the future 5G. C- V2X should progress seamlessly into 5G, while offering backwards compatibility with 4G. It will also be supported by 5G, but it's not clear what extra capabilities 5G will provide over 4G. So, we don't need 5G? We can't say at the moment that there is no demand for 5G. I think that there is a lot of work to be done by the telecommunications and enterprise/developer community in building, trialing, and experimenting with the new technology to see what it can offer. Why don't we need the super high bandwidth? Vehicles such as construction equipment need wide area connectivity, but they are dependent on it much less than perhaps has been suggested. A lot of the processing and computing will happen within the vehicle itself. The telecoms networks are instead used to download the information on the machine, software updates and for monitoring etc., which might require a relatively modest data transfer capability. So, although necessary and important, the telecoms network will in future supplement the onboard processing, but not replace it. What about construction equipment 'talking' to each other? We will begin to see more of that with the introduction of V2X, and more specifically vehicle-to-vehicle communication. There is a fair bit of machine to machine happening with vehicles downloading/uploading data (i.e. relatively closed systems of connected devices) but not much communication between different types of devices, or more open systems, e.g. vehicle-to-vehicle communication. Will the new networks lead to other devices becoming connected? Low power, wide area networks will allow for “massive IoT” to flourish, where a vast number of applications that run on batteries can get connected. Things like smart meters in utilities or agriculture that are in remote locations and only need to send or receive signals occasionally. (And whose batteries will last several years before needing replacement.) In automotive and fleet sectors, there are use cases that go beyond the vehicle, for example wearable devices, those that monitor how many hours an operator has been working or whether breaks have been taken and then transmit an alarm if it senses that the operator is fatigued or in danger of falling asleep at the wheel. There is great scope for a vast number of devices to become connected in the future. Are autonomous vehicles and connectivity two separate issues — or part of the same story? Autonomous vehicles are unlikely to over-rely on telecoms networks, despite the often- made association between 5G and autonomous vehicles. Autonomous vehicles have detailed maps and sensors, lidar and optical radar that together creates a detailed picture that they then look for anomalies and take whatever action is necessary. To achieve this, a lot of high performance processing is carried out on the vehicle. It has been estimated that autonomous vehicles will generate up to 4 terabytes of data a day, but only a tiny fraction of that information (maybe as little as 0.1 percent) will need to be shared with the network. Because of this, self-driving vehicles will depend more on on-board processing than the cloud. Real time connectivity will be beneficial, but not essential. Telecoms networks will be used for non-real time updates to and from the vehicle, but bandwidth requirements for these services may be relatively low. Is the industry keeping ahead of the threat of viruses and cyber-crime in M2M connectivity? What you see in IoT is a great deal of focus on security. They call it “security by design” and are building safeguards into the systems from the start, rather than trying to retrofit them at the end of the development process. Most security experts predict that systems will be hacked at some point, and then it is about the safeguards you have in place and how quickly and effectively you respond to the breach. Michele Mackenzie has 17 years of experience as an analyst. Since 2014 she has been principal analyst for Analysys Mason's IoT and M2M Services research program. She produces reports and forecasts on M2M and IoT in industry sectors such as transport, healthcare and smart cities, and analyses the impact of IoT network technologies such as LPWA networks. Prior to joining Analysys Mason, Mackenzie was a freelance analyst with a focus on M2M and IoT technology and trends.